But the very fast AF in good light here helps of course. I have GH2 and EPl5 and EPL5 is already a bit better than my GH2. GH3 is may be even better. But from what I have seen and heard it is not there (at all) yet. I really would like to have 5 fps with AF tracking that keeps up and not just jumps to another subject that is standing still. Or not an AF system that starts to hunt when I want to shoot a bird in flight, which the GH2 (again) does even worse than my EPl5. So: you can do it, but what is meant that it can't do it nearly as well as a 7D or a D7000 or D5200 for instance. As you can read I knwo it is getting better, it is my own experience. What I want is 7D performance and it is really not their. 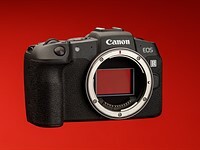 That cam is really good, even thiough it is not like the 1Dx and co..